Holiday Gifts for the Mamas in Your Life | Breezy Mama Breezy Mama - Expert parenting advice, celebrity interviews, product reviews for kids, moms and babies and more! Our turn! Always a great way to give your hubby ideas (feel free to forward this post) and also to remember your own mom, besties, sisters, etc. Or, heck, treat yourself while shopping for others — you deserve it! Breezy Mama Elizabeth has a beautiful home but perhaps my favorite part is this coffee maker! During playdates she whips up a decadent mocha in minutes! In fact, there was a period of time where I would just see her and my mouth would water. 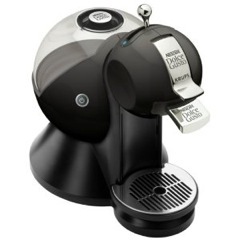 This must-have for all moms makes cappuccinos, lattes and more. The easiest way for moms on the go to add a little color is lip gloss. 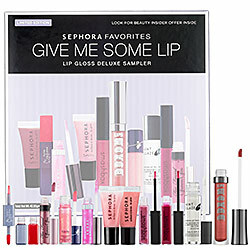 Check out this array from Sephora of 10 different shades and brands to choose from. Best part? It’s worth $139, but costs only $40! When it’s her turn to host mom’s night, help her add some pizazz with this wine tasting game! They say: “Using three bottles of similar wine, you’ll prove your knowledge of fermented grapes by answering the most wine trivia questions and passing the most blind taste tests.” Mmmmm… I’m getting thirsty. 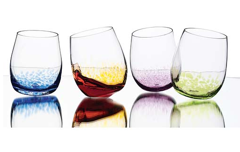 And help her spruce up how she serves her wine with these uber cool glasses! The slightly off-center base causes the glass to rock gently into place and comes in four different colors of sparkled glass. If she’s like me and her jaw dropped at how much Bravo TV’s Real Housewives of Beverly Hills spend on the birthday parties for their kids ($60,000… really?! 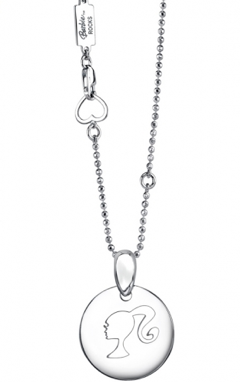 ), and yet at the same time couldn’t stop thinking about THE Barbie Silhouette Necklace, I did my homework and found it for you on-line. The jewelers as seen on TV when Taylor goes to get her 4 year old her first diamonds (ummm…) are Layna and Alan Friedman and they have an entire Barbie collection starting at $68. For the more wallet friendly silhouette as seen above, $85 — click here! For the classic silhouette as seen on TV, $125 — click here! Finally, for the rest of the collection including the $1900 and up styles — click here! 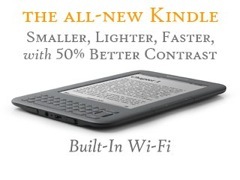 Breezy Mama has featured the Kindle in gift guides in the past, but now I’m dying because the price is down to $139! With fast, free wireless delivery, she can start reading books in less than 60 seconds. And it’s easy to throw into the diaper bag or cozy up to in bed… and since it lights up, she can read while he sleeps. 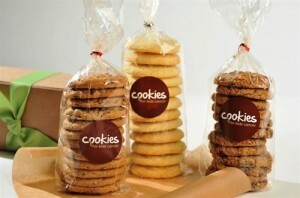 What woman in your life doesn’t like cookies? Perfect for everyone–from the Mother-in-Law to the Babysitter, giving a yummy batch of cookies will put a smile on her face. And the best thing? 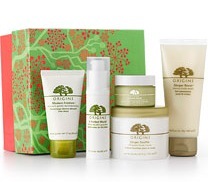 100% of the profit from your purchase will directly fund pediatric cancer research. $30 per dozen– Click here! I must say…I LOVED EVERY item on your list! In fact, my single serving french press coffee maker broke on me THIS morning, I am putting that coffeemaker at the top of my list! 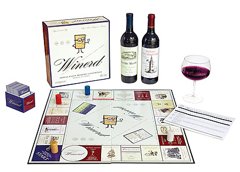 I also loved the wine board game-so cute! AND, that Barbie necklace ROCKS- for me OR my 8 yr old daughter! I must add pods are easy to come by on Amazon! Can ever set up auto order to have delivered every month. 3 pack of 16 pods $25, with auto deal, as low as $20. I just ordered hot chocolate for the hubby! I live the caps, but mist moms request the mocha or the iced cap! Lots to choose from:). I better make mine to take with me on the road to pick up….